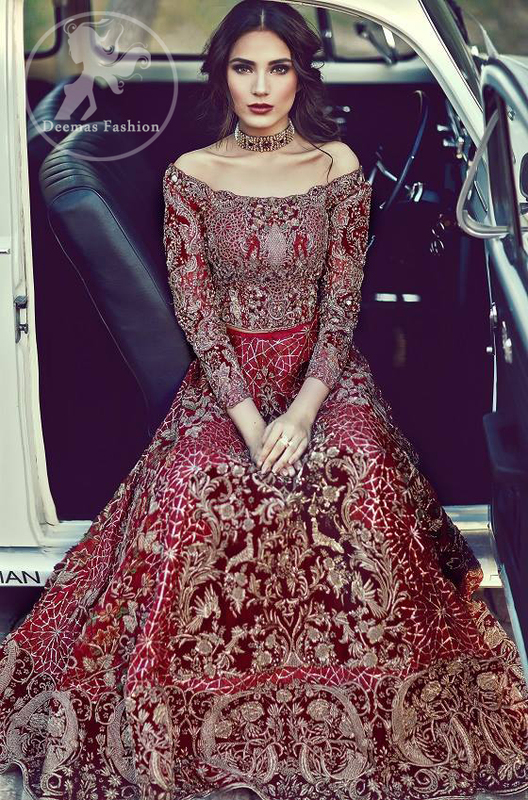 Tags: Bridal Wear, Bright Red, Choli, Lehenga, Light Fawn. 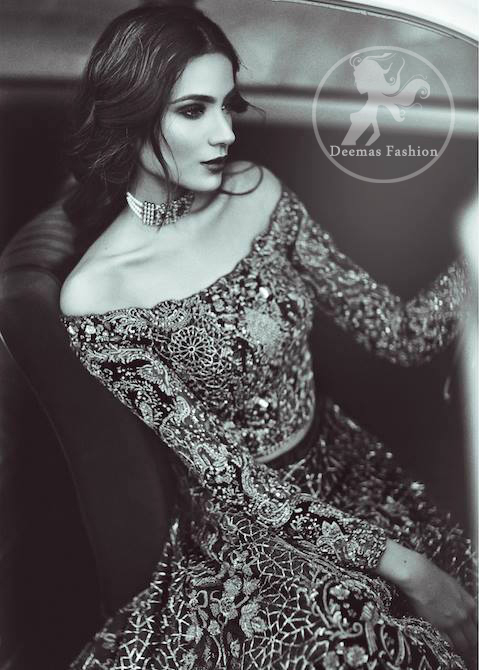 Blouse has been adorned with beautiful hand made embroidery all over the front and back. 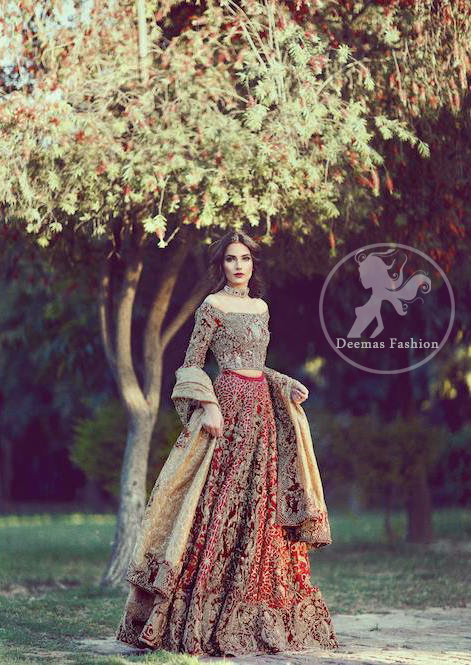 Lehenga is adorned beautifully with exquisite embellishments at the bottom. Applique work border on four sides of dupatta. 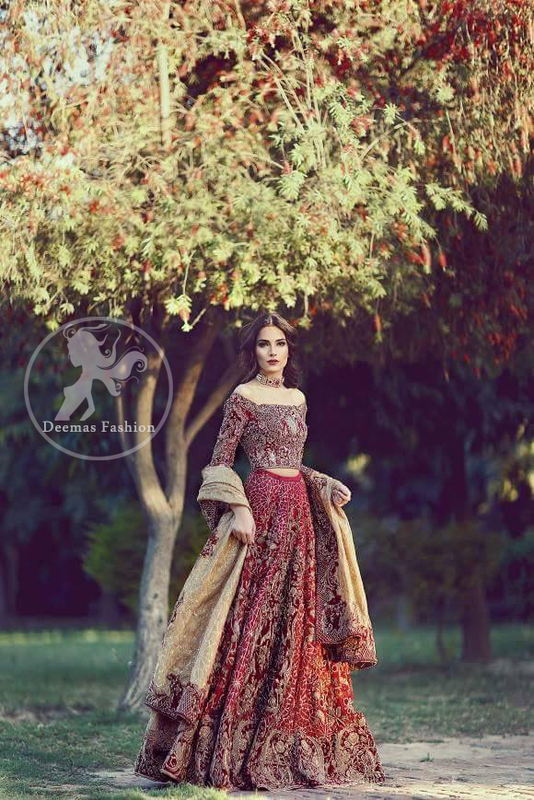 Work includes kora, dabka, pearls, stones, sequins, beads, silk threads and swarovski crystals.